Carnaby Melrose Static Caravan. 3 bed / 8 berth. 2010. 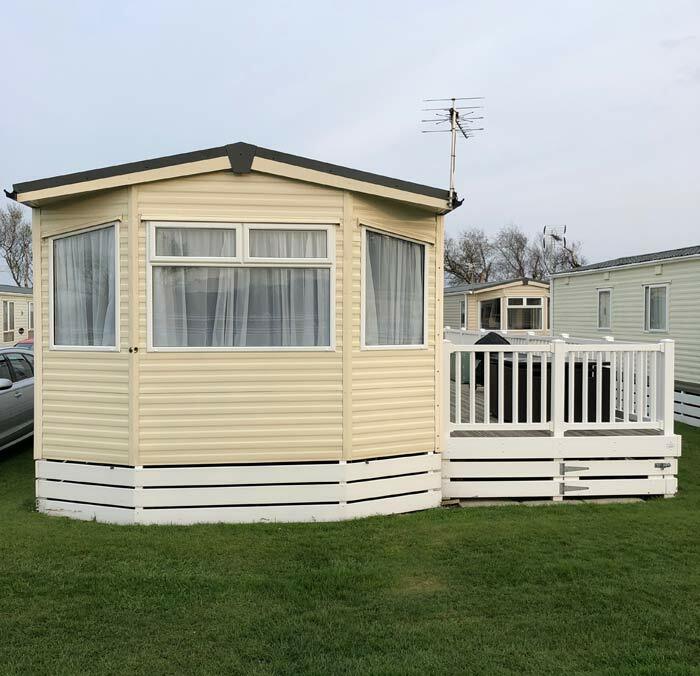 37 x 12 ft.
Caravan sited on Crugan, in the picturesque village of Llanbedrog, directly across the road from the beautiful National Trust beach with its picture postcard beach huts and the perfectly located Aqua Bar. Just 5 mins drive from Abersoch Village and part of the Haulfryn Group with access to and use of facilities at the prestigious Warren Holiday Park. The Site - Crugan is the perfect holiday park for families - with beautifully kept lawns, an excellent play area for children, and a launderette. Walk across a field to the beach or pop down to The Warren with all facilities available to Crugan owners including:-* 2 outdoor heated pools with flume slide* Tennis courts* Direct beach access* Heated indoor pool * Brand new Spa * Fully equipped gym* Badminton and squash courts* Multi purpose sports hall* Kiddies soft play area* Archery range* Games lobby* Bar and restaurant* WiFi *Brand new beach club for 2019. Interior - Two doors leading into hallway and into open plan lounge / kitchen / dining area. Gas central heating throughout. Lounge includes electric fire, flat screen TV and DVD, Sound bar and XBox. Kitchen fully equipped with appliances including fridge/freezer, gas oven, grill and hob, and microwave, Washing machine and additional (beer) fridge in purpose built storage unit at back of caravan. Bathrooms - one family bathroom (ensuite) with powerful shower, sink and WC; one additional WC with sink. Outside - Good size gated decking with view directly onto the lovely play area. Ideal for families with children. Safe for little ones and pets. Double glazed throughout. Large plot with space on either side of the van and parking for 4/5 cars. Bespoke shed and outside storage with space for bikes, scooters, wet suits and complete with washing machine and additional fridge. Rattan cube decking furniture with seating for 8. Call or text 07970 719 891 to arrange a viewing. Great opportunity to buy a holiday home on this stunning park.